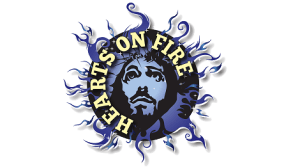 The Hearts on Fire Youth Conference is a special event that attracts young people who want to celebrate their faith through music. The fun-filled weekend is full of energy that’s sure to deepen each attendees connection to the scripture. This year’s lineup of musicians includes the HOF Praise Band and Roger Williams & the All Mixed-Up Quartet. Space for the event is limited. Attendees must register before the deadline to secure a ticket. Sizeable church and bible study groups are encouraged to register early.